OMG. That Jack kid is SO hot. I’m a bit concerned about the man wearing a white bowl on his head. 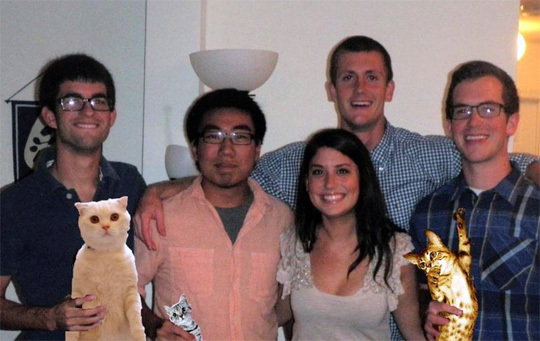 No offense… but you really should work on your photo editing skills to make your boozecats more believable. They do not look like they are really there… if you know what i mean. I did not like the way you processed this picture, you should be more attentive to this. “Advertising is your main tool to have the business ready to go. Actually, everybody is busy in their company marketing over the World Wide Web. Unfortunately, online company is scammed with scammers. On occasion the provider hires you freelance, or occasionally it is a site designer which orders the copy google At an identical time, if you decide on the most suitable company having excellent reviews and reputation, you will enjoy well composed works.